Sometimes I can't help wondering just how it is that news manages to get around so quickly, even when it really isn't "news" news. For example I was asked to review some Photo Christmas Cards from Pear Tree Greetings and would you believe that the day they arrived Marcell, who recently moved to Nutjob Hills from Hungary, showed up in my office practically itching to have a look. In a way he reminds me of my wife. She always liked getting mail, good old fashioned letters, cards and packages in the mailbox. Oh, don't get me wrong, she was very much into the modern email way of doing things but that never cut her appreciation for stuff arriving in the mailbox. Especially during birthdays and the holidays. She was always very appreciative of anyone that took the time to pick out and customize a card. I guess that's why I was so interested in having a look at these cards. The first thing I'll say about them is that they are all printed on 100 pound matte card stock that is 100% post-consumer recycled So in addition to looking great they're also environmentally friendly. One of the first ones to catch my eye was called "Bright String of Lights" that allows you to upload a photo to be used as the cover picture. 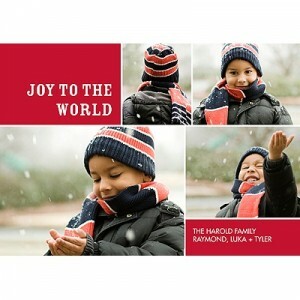 Another Photo card that I liked was called "Bringing Joy to the World". 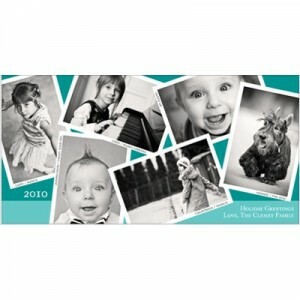 This one allows you to put not one but four pictures on the front of it in addition to your personal message. I think the card that I like the most is the one called "Snapshots". It has placed for six photos, each with an optional caption. 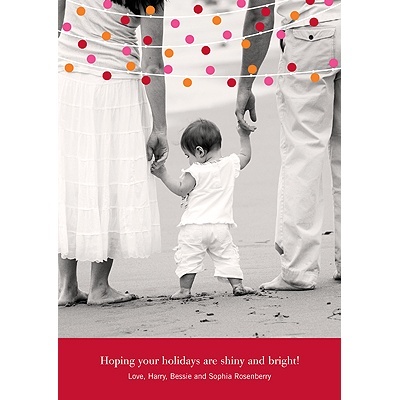 This is the sort of card that would let you use a different photo for each person in your family (or more if you have a small family!). A card like that has a lot of potential, you could actually tell a brief story in photos if you wanted to. I know that the next time I buy Christmas cards I'm definitely going to have Pear Tree in mind and Marcell is talking about bringing his wife by to see them. 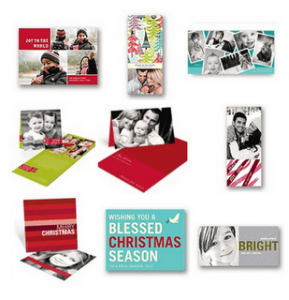 Also, in addition to Christmas cards, they offer a whole line of photo cards, invitations, birth announcements and a lot more.